As we head into the holiday season, it seems only natural to reflect on the memories we share with others. In keeping with this tradition, we at Adeler Jewelers wanted to share the story of master jeweler Jorge Adeler. A man whose passion for world travel and fascination with colored gemstones helped inspire his meaningful creations of custom jewelry designs that are adored by men and women today. Jorge and his family first opened their custom jewelry store in 1975. Since then, he has dedicated his life to turning a unique artform into a lifetime labor of love. And now, more than four decades later, Jorge’s high jewelry designs and vast selection of precious gemstones are shared with customers throughout Washington, D.C. and its surrounding areas, not to mention America’s most beloved celebrities. Originally from Argentina, Jorge has always held an appreciation for the beauty and history of other countries. He believes to truly understand the value and meaning of a gemstone, one must first learn its origin story. In addition, one must also experience its landscape and culture. 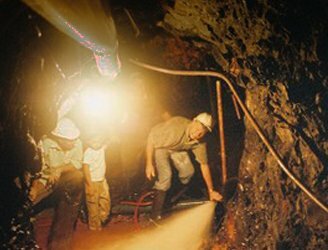 From searching for the world’s most beautiful diamonds in Israel to navigating through emerald mines in Colombia, he has traveled the world in search of precious gemstones that capture the essence of their history and provide a rare glimpse into their ancient mysteries. He strives to fashion these unique characteristics into his rare collection of custom jewelry designs. And he brings each unique piece to life inside his workshop, using silver, gold, or platinum. 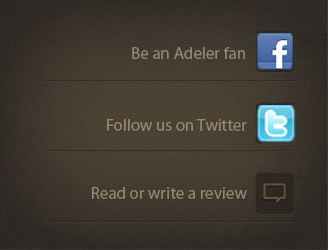 Every exquisite jewelry design at Adeler Jewelers represents an outward expression of one’s personality. 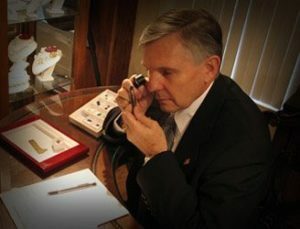 So, whether he’s designing an exotic pearl necklace, diamond engagement ring, or custom earrings, Jorge carefully hand-selects each colored gemstone to pair with you personally and takes great pride and satisfaction in his ability to positively interpret and execute a custom jewelry design that’s uniquely yours. From beautiful engagement rings and wedding bands to breathtaking birthstone jewelry, if you can imagine it, Jorge can create it. We invite you to schedule a free consultation today and have Jorge pair you with the perfect gemstone to tell your story or share a personal sentiment with someone special. Contact us today to learn more! By submitting a comment you grant Adeler Jewelers a perpetual license to reproduce your words and name/web site in attribution. Inappropriate and irrelevant comments will be removed at an admin’s discretion. Your email is used for verification purposes only, it will never be shared.